In this post, I have described a very easy to implement Vashikaran Mantra Upay that is practiced using Pili Sarson Ke Beej or Yellow Mustard Seeds as an Infusion Object to attract any man or woman who is passionately desired by the practitioner. There are many varied kinds of Tantrik Totke or paranormal remedies, which are practiced using Pili Sarson, especially those connected to Vashikaran, removal of the evil-eye or Buri Nazar and the exorcism of ghosts, spirits and other demonic beings. Pili Sarson, which is said to posses certain paranormal properties is either used as a standalone Tantric Object or along with some other items with and without the use of an Infusion Mantra. The Vashikaran Tantra given in this post is as mentioned above very simple and it can be practiced by following the procedure given below. 1] The Vashikaran Totka can be practiced on any day and there is no need for any Siddhi Sadhana because the Vashikaran Sadhana given in this post is a Siddh Vashikaran Sadhana and will give results if practiced with single minded burning intensity. 2] The practitioner should keep a few Pili Sarson Ke Beej before himself and concentrating upon them he should chant the Vashikaran Mantra given below only 60 times. This will infuse the Shakti of the Vashikaran Mantra into the Yellow Mustard Seeds. Any counting rosary, including a Radraksha Mala can be used to count the number of Mantra Chants. 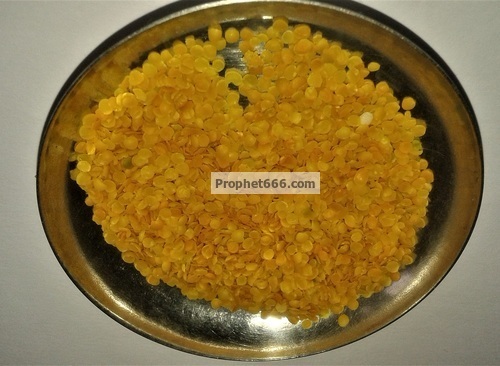 3] Then, the practitioner has to secretly and very carefully sprinkle some of the Mantra Infused Yellow Mustard Seeds on the head of the man or woman he seeks to enchant without being noticed by the targeted lover. 4] The rest of the unused Pili Sarson Ke Beej can be kept in a clean place or immersed in water. Note- See the Attraction and Vashikaran Mantras Sections for Attraction Experiments using all kinds of everyday items.